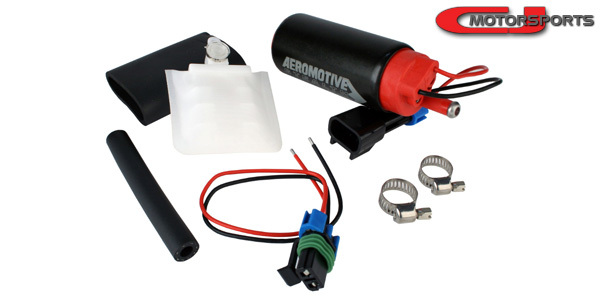 Aeromotive's 340lph direct-fit replacement for the Walbro GSS342 255lph. CJ Motorsports personally tested this pump in our daily driven 370z for over 3 years with E85. It supported over 580rwhp without issue. This pump includes a comprehensive installation kit that covers most applications; connector pigtail, a few inches of submersible hose, a pump pickup, stainless steel hose clamps, and a foam insulator sleeve. 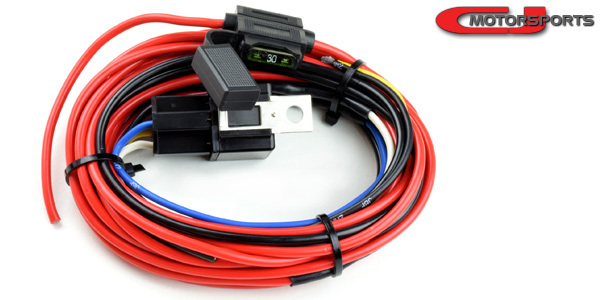 Add our optional DeatschWerks wiring kit if you are still running your factory fuel pump wiring. The power cable is 12ga and 15' long. It includes a 25-amp inline fuse and a 40amp relay and socket. The offset strainer included with the Aeromotive Stealth pump is not ideal for use with some applications, including 350z and 370z. 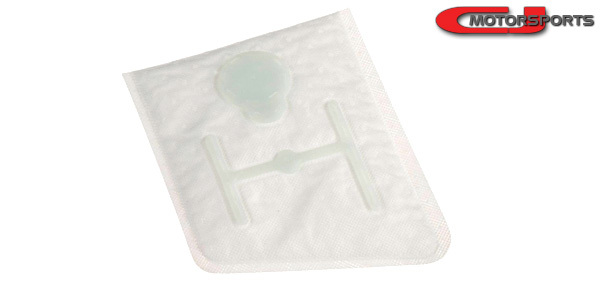 We offer an optional centered pump strainer that we find to be a good fit for these applications.